Command of ERP systems; managed the setup of the ERP system at Cidav Printed Circuits Co. Ltd.
Industrial Projects Manager, A.B. Planners Co. Ltd.
Planning and managing industrial projects; constructing industrial plants from the bottom up and expanding existing plants; preparing programs, industrial planning, and managing the planning team. Managed a company focused on hardware and software for managing and supervising industrial facilities, manufacturing systems, and more. The company developed tailor-made products for process and system control. Both hardware and software were developed in tandem. The job also entailed management of the marketing and business development, including contracts with complementary companies. 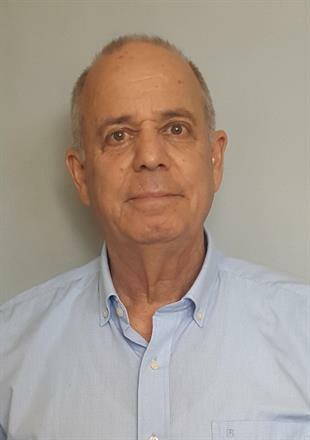 CEO, Cidav Printed Circuits Co. Ltd.
General management of a public company (traded on the Tel Aviv Stock Exchange) manufacturing printed circuits for electronics companies in Israel and abroad. The company had five subsidiaries in various high-tech branches. As CEO, the work involved supervising the subsidiaries, helping them develop their business plans, and sitting on their boards. Project Manager, Electrochemical Industries Co. Ltd. Planned and supervised industrial plants in Israel and abroad using products of the electrochemical industry. I designed a plant built in England and served as its first manager, which required acquiring much equipment, recruiting and training the workforce, setting marketing plans, getting the plant up and running, and seeing to its routine operations. Business development as the company was going public (traded on the Tel Aviv Stock Exchange). Determined directions for expansion, worked with and managed the company’s export side. Worked with distributors and customers abroad and expanded activity to include more countries. General management of the industrial plant manufacturing transparent plastic boxes and cartons and packages made of both materials. The plant had a printing press as well. I was the company’s marketing manager for Israel and abroad. Maintained contact with German know-how provider, including business development for new areas of manufacturing. Responsible for tracking, analyzing, and supervising new projects for industrial activity proposed to the UKM’s member kibbutzim. Accepted direct and indirect proposals, undertook preliminary feasibility studies, and followed up based on results. The position required involvement in the Industry Committee and Farm Committee during the critical period of the kibbutzim crisis. Planned and managed industrial projects. Built new industrial plants and expanded existing ones. Prepared programs, did industrial planning, and managed a team of planners. Total involvement in some 30 different plants, both new and expanded. From 1995 until 1998, I also served as Chairman of Arizim. I was also among the founders and the Chairman of Impress Co. Ltd., an advanced printing press, founded as a partner company with Arizim and another company.